At 2.28 p.m. local Beijing time - the moment the devastating earthquake occurred on May 12 - millions of people in China and overseas observed three minutes of silence. Across the country, sirens, cars, trains and ship horns wailed in grief as the people fell silent. More than 32,000 people have been confirmed dead and the estimated death toll could top 50,000. National flags fly at half mast, public entertainments is cancelled and the Olympic torch relay is suspended during the three-day mourning period. 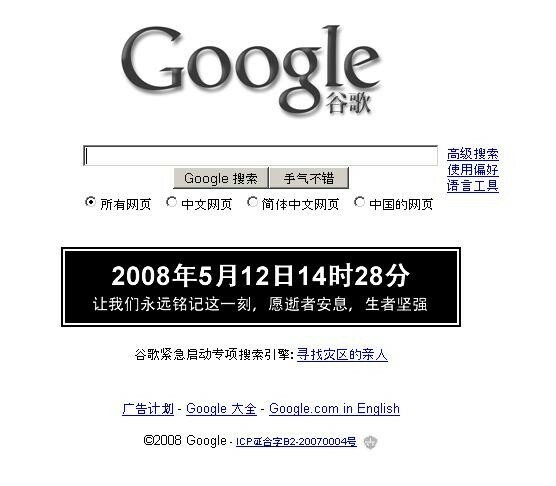 The Chinese Government has ordered all entertainment centric web sites and even television programming to shut down completely for the next three days. 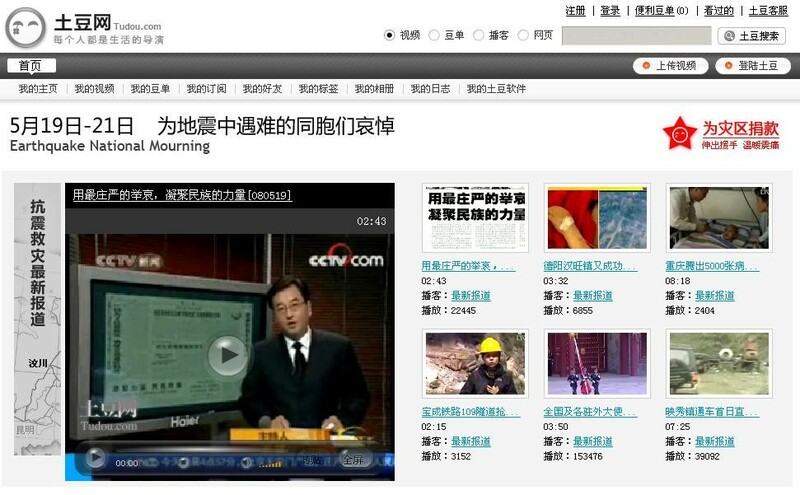 Only TV stations broadcasting the official CCTV earthquake programming will remain on air. 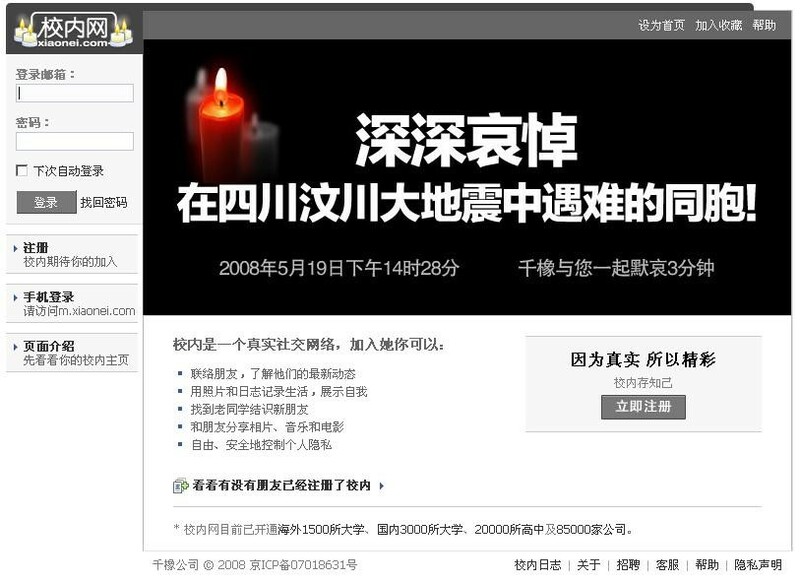 China Daily reported yesterday "... all public amusements will be suspended for three days from Monday as China begins an official mourning period ... the State Council, the Cabinet ordered a nationwide display of respect for the dead ..."
Gaming portals like game.com.cn, xiaoyouxi.com and Shanda Online have already completely shut down. 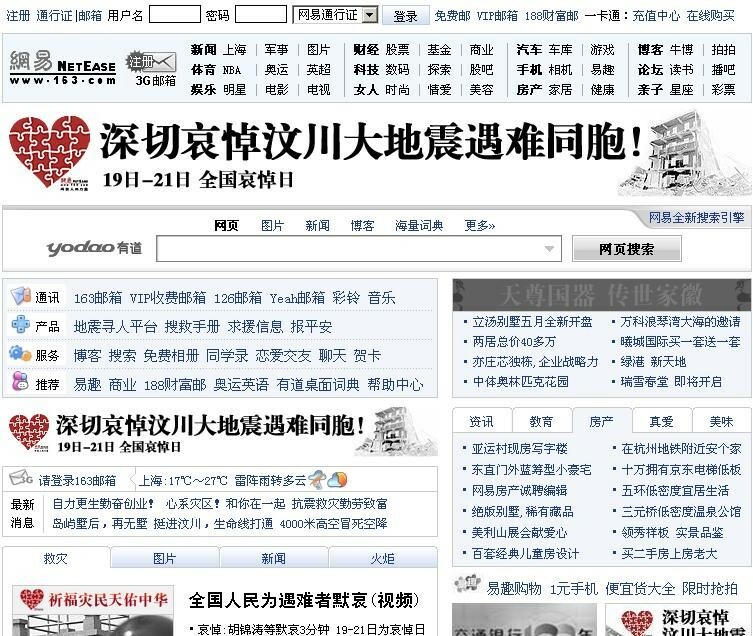 Other websites like the major portals Sina, Sohu & 163 and the video sharing sites Tudou & Youku have limited their offerings to news content. 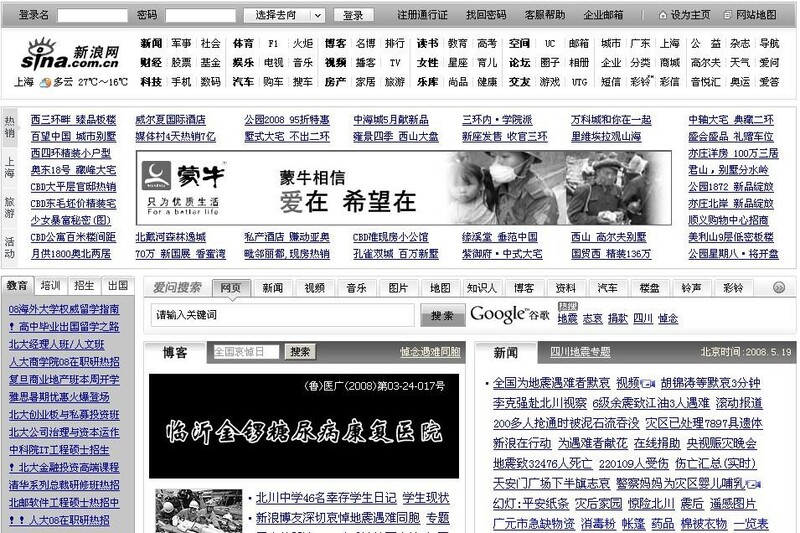 Furthermore, all major websites in China have adapted a black and white layout, as the screenshots provided below show. 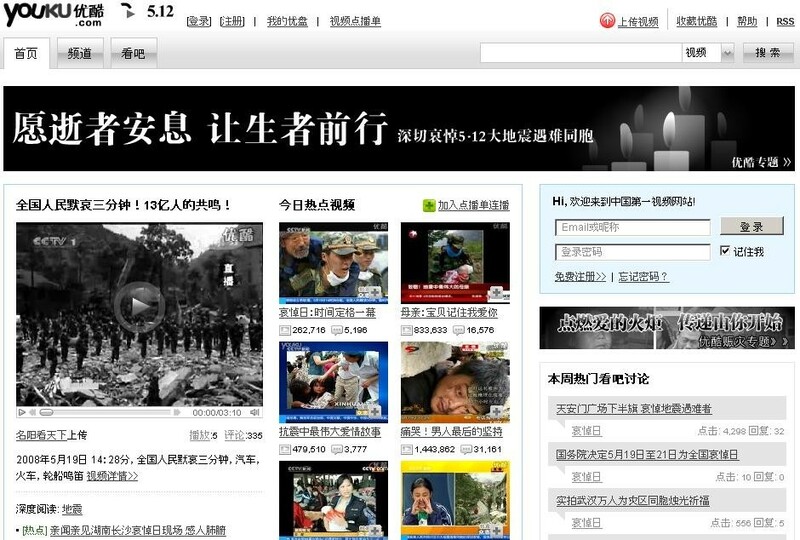 Last Friday leading news portal Sina unexpectetly launched an English version of its website. 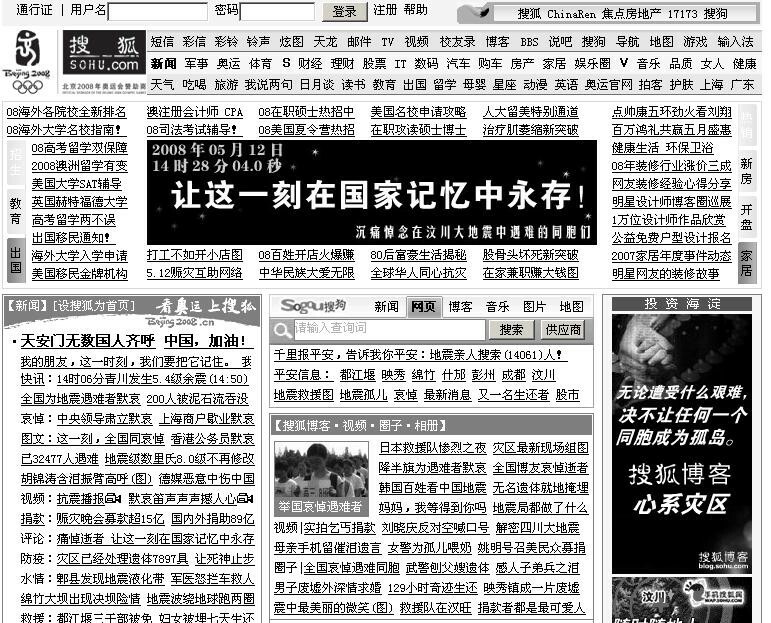 This major news was followed by another announcement reporting the launch of a special English coverage on Sichuan earthquake on its WAP site two days later. The special report offers round-the-clock coverage on the quake relief efforts and current situations in Sichuan and other quake-affected areas. The English special report on Sina WAP will work together with the Internet-based Sina English to provide Sina's worldwide user base (230 million registered users) with the latest and fullest coverage of Sichuan earthquake. According to sources with Sina, Sina WAP will use the experience they gain in this special English reporting to launch a large-scale English coverage on the coming Olympic games in August.